This fashionable contemporary Crestmount chair has a retro appeal. This colorful chair will brighten your home or office decor. 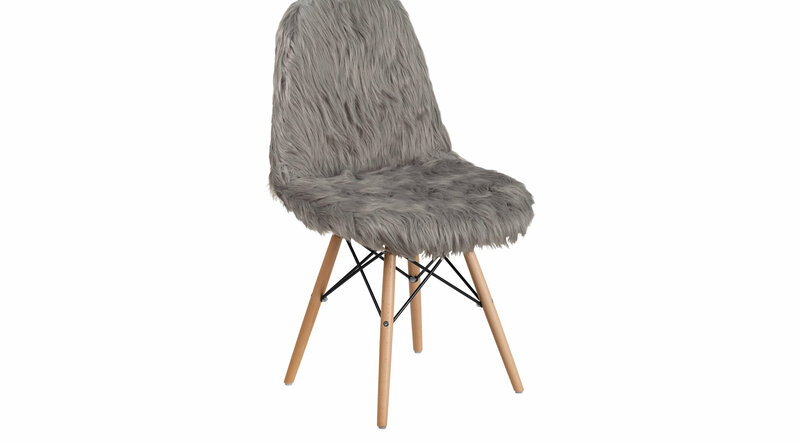 It features a 'cool to touch' faux fur material with an attractive beechwood base.